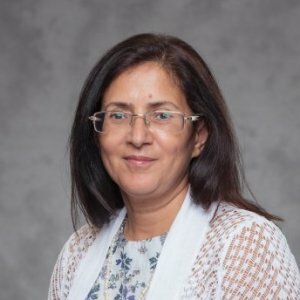 Dr. Shalini Kesar is an associate professor of information systems at Southern Utah University and was previously the director of Bachelors of Interdisciplinary Studies. She has been in front of the classroom for over 15 years, starting as a research assistant for Montfort University in the United Kingdom, she has taught at different universities across the world. Born in India, Dr. Kesar was raised to value education and pursue the heights of learning. She has found a niche in southern Utah and become a role model while enhancing awareness and motivating girls in considering technology as part of their education and career goals. Her outreach efforts spread to a number of rural counties where skills and resources are limited. 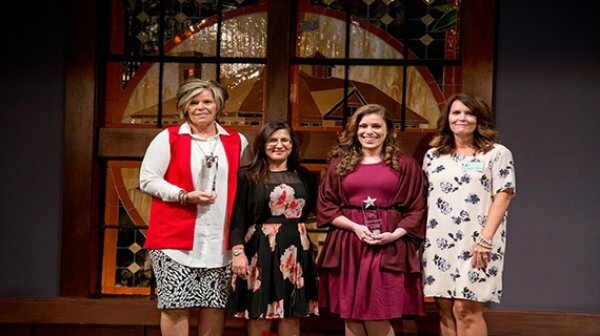 She was recently recognized by the Women Tech Council, receiving the Education Excellence Award at the 2016 Women Tech Awards. The event recognizes technology-focused women who are innovators, leaders and key contributors in STEM fields. Dr. Kesar earned a BA from the University of Delhi, a MPHIL in information systems from De Montfort University, a MSC in analysis, design and management information systems from the London School of Economics and Political Science, and a Doctorate in information systems from the University of Salford from UK. In celebration of International Women’s Day last Friday, several local organizations collaborated to provide a Women and Technology luncheon at Southwest Technical College. The Southern Utah location of the Women’s Business Center of Utah is partnering with several organizations to help celebrate International Women’s Day this Friday at noon. In a study created by Microsoft and Dr. Shalini Kesar, Associate Professor Department of Computer Science and Information Systems at Southern Utah University, young girls are more likely to explore STEM careers when they see successful women representation. One of the largest and most resource-intensive projects to be carried out on this topic recently is from Microsoft and conducted by Dr. Shalini Kesar, an Associate Professor in the Department of Computer Science & Information Systems at Southern Utah University. The research was first conducted in the EU in 2017, and Microsoft has now released U.S. statistics and recommendations. SUGIT is the brainchild of Kesar, an SUU associate professor of information systems who wants to increase the participation of women in technology. She heads several technology outreach projects including Southern Utah’s participation in the national Aspirations in Computing competition sponsored by the National Center for Women & Information Technology. Dr. Keser has been leading a STEM program for high school girls across 14 Utah and Nevada counties. In the last five years the university says more than 400 high schools have applied to the free online competition. On Thursday at the Grand America hotel, Dr. Shalini Kesar related her story while she was in Salt Lake City for the Women Tech Council Awards. “I had a strong family support and good teachers that made me realize what I could do,” she said. According to the National Center for Education Statistics, more than 57 percent of college undergraduates are women, yet only 18 percent progress into STEM (science, technology, engineering and mathematics) as a career. Despite this national need for a female presence in computing and technology workplaces, southern Utah is showing initiative on this front. This paper's discusses five real business capstone projects that were designed to provide an educational experiential learning to include ethics and professionalism in the pedagogy. This class comprised senior undergraduate Computer Science (CS) and Information Systems (IS) students. The projects involved teamwork and lasted fifteen weeks. The aim of the capstone curriculum was to foster a teaching environment to: 1) include interdisciplinary partnership among university departments; 2) cultivate local industry alliances; 3) encourage students' analysis and synthesis of skills and knowledge in a real business setting project. The National Society for Experiential Education (NSEE) practices were used while developing the curriculum and their eight Guiding Principles of Ethical Practices are used to describe the initial findings and lesson learned. Taking into account various studies on the increasing problem of computer crime within organizations, the researcher argues that management of such crimes requires an equal focus on technical, formal and, informal (social) issues associated with Information Technology (IT). This is because focusing on the technical issues only provides a partial solution while managing such crimes. While understanding management of computer crime, this paper contributes to provide a different perspective by using the organizational theory, Triple Loop Learning (TLL). This paper provides an insight to the increasing problem of cybercrime in the context of electronic government. It takes examples from the UK government to argue that it is no longer possible to just rely on technical controls while securing electronic government transactions. Reports and studies reflect that illicit acts such as cybercrime are predominantly the result of not only disregard for basic information security and but also lack of awareness about the importance of social issues associated with information technology. Consequently, focusing on the technical controls provides only a partial solution while managing cybercrime particularly in electronic government context. Managing the growing problem of computer fraud within organisations has led researchers and practitioners to emphasise the need to take into account the 'social' aspects of information security. In addition, wider organisational issues such as lack of communication have been associated with computer fraud. In trying to minimise 'opportunities' for computer fraud, this paper argues that managers' awareness and knowledge of how an organisation functions can significantly affect the effectiveness of management information security. This is because managers can send 'cues' to other employees, which influence how the latter perceive and abide by information security and other policies and procedures in their daily activities. Such perception and application are examples of tacit knowledge development and use. In developing the argument, this paper uses the case of Barings Bank together with Mintzberg's five functions of an organisation. Thus it contributes in effective management of information security from a knowledge management perspective. Governments in many countries have invested significantly in building electronic infrastructures to support e–government initiatives. However, there is mixed evidence about the success of e–government initiatives. In this paper, we report the findings of a case study of e–government implementation undertaken recently at a local government authority in the UK. Despite the success of such efforts at National Health Services Direct (NHSD) in the UK, local authorities in the UK have not been able to replicate the success of e–government initiatives at NHSD. Consequently, local authorities in the UK have largely failed to meet the expectations of the UK government. We use the framework proposed by Heeks to understand the underlying reasons for the failure of local authorities to implement e–government. Using a case study at a local authority in the UK, this paper contributes to our understanding about successful implementation and adoption of e–government initiatives at the local level. Designed to explore concepts of microcomputer systems. Concepts include: windows and general information, word processing, spreadsheets, database, presentations, and the Internet. Students gain proficiency with the basic command structures of each application in an integrated office suite. Designed as a telecommunications and networking foundation in network connectivity, data communication concepts and communication protocols. Students learn to analyze cost-benefits and to evaluate, select, and implement different communication options. Introduces students to the management, technical, and administrative aspects of Information Security. Includes legal and ethical issues, risk management, technical and physical security. This examines research methods for interdisciplinary study and explore different perspectives on a variety of topics. Students develop their ideas for their interdisciplinary capstone project by evaluating and comparing the methodologies presented in the course. In this course students will complete and interdisciplinary capstone project in which hey utilize and expand upon the knowledge and skills from previous coursework. Students will also create a portfolio that will reflect critical thinking; research, and oral and written communication skills. Provides a general survey of key technological elements of electronic business and important business strategies essential to maintaining e-business infrastructures. Students will design and develop web sites that have e-business capabilities. An examination of systematic, disciplined and quantifiable approaches to the development, operation, and maintenance of software. This course offers a major programming project which provides an opportunity to apply much of the material the student has learned in previous computer science coursework. Provides opportunity to manage a major information systems development/enhancement project. Students apply what they have learned from various other courses to one project with an emphasis on enterprise-level project management. This course will teach the student methods in identifying vulnerabilities, and take appropriate countermeasures to prevent and mitigate failure risks for an organization. It also provides the security professional with a foundation in procedures; assessment of risks in the enterprise, etc. This course requires the student to be engaged in either a Thesis project of approved Internship.